This statistic illustrates the use of text messages as a communication method among different age groups and by gender in France in 2014. 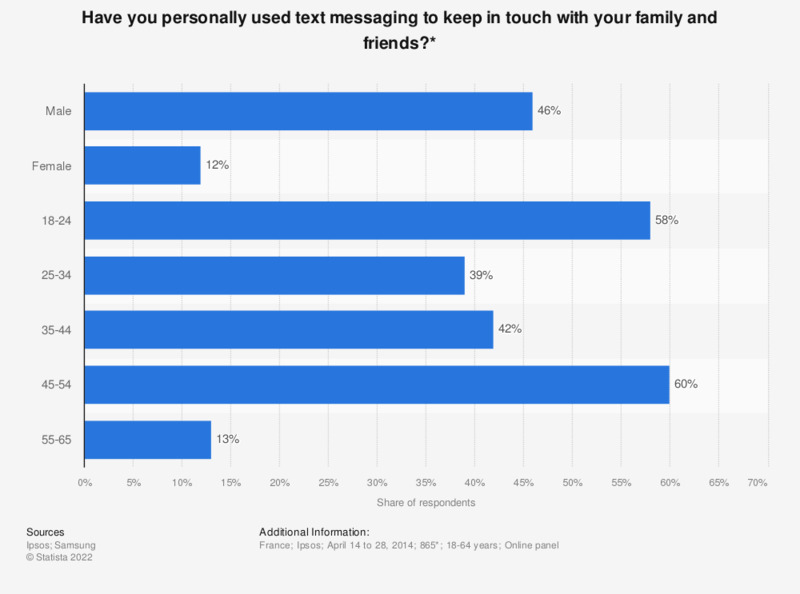 Texting proved to be more popular among males and was used by 46 percent of the male respondents. * Number of respondents: male = 865; female = 544; age 18-24 = 849; age 25-34 = 611; age 35-44 = 819; age 45-54 = 873; age 55-65 = 316.